My first fix landed me three new items that I love – including a pair of jeans! Without further ado, here is what came in fix #2. The first item was the striped dress pictured on the left. I liked the dress and my stylist obviously looked at my Pinterest board because I pin a lot of stripes, however I already own a striped dress that is fairly similar so I ended up sending it back. 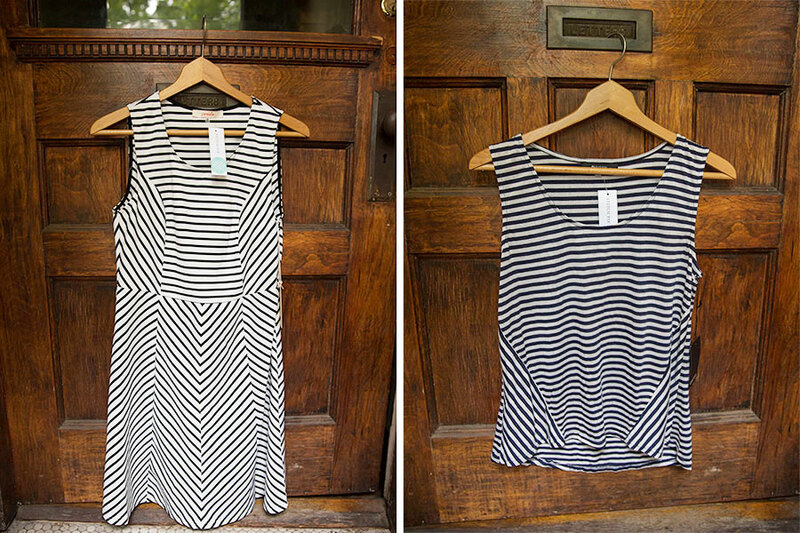 The second item was the striped tank pictured on the right side. I actually liked the way this looked when I took it out of the box, but the fit was just too boxy and a little short for me, so back it goes! 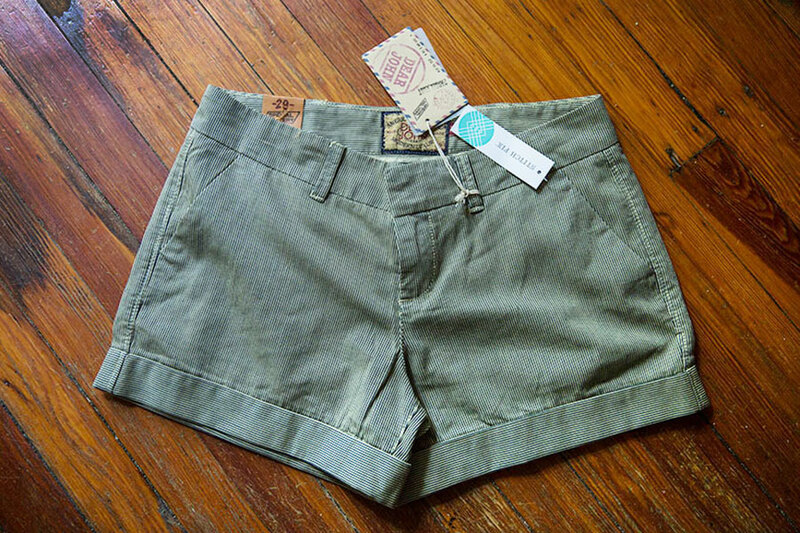 Item #3 was the shorts above. They were actually more of a tan and black thin stripe even though the photo makes them look green (reminded me of a train conductor, but in a cute way). I liked these initially, but after trying them on I was less thrilled. I just didn’t like them enough to justify the price, so back they went! The next item was the necklace on the right. I knew right away that I wouldn’t keep this because I am not a huge “pink person” and it just wasn’t quite my style. So at this point you are probably wondering if I kept anything, don’t worry, the top pictured on the left was a winner! Dave snapped a few photos of me in the shirt outside of a coffee shop while on vacation. We had a little mini date to get wifi coffee one morning while at the beach. You may also recognize the jeans from my first Stitch Fix box. Back to the shirt. I loved the lace details and am always a sucker for navy blue. I also wanted to keep at least one item in order to keep my styling fee – and plus it was free! Free? Yes free. How? Let me explain. Stitch Fix has a referral program that is pretty much AMAZING. Basically you receive $25 in credits for every person who orders a fix using your referral code. A few of you used my referral code when I posted about my first fix (thank you!!) 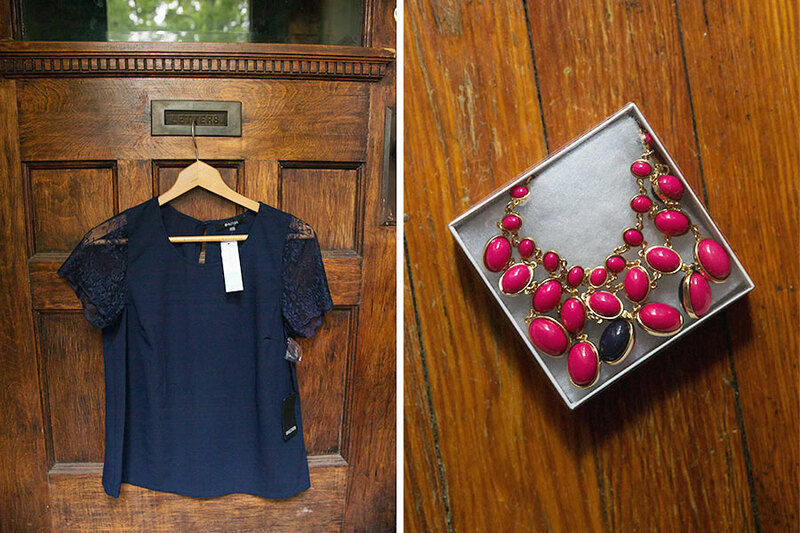 and I was able to earn some money toward shopping via Stitch Fix. I don’t know what I love more, getting clothes shipped to my house or earning free clothes. 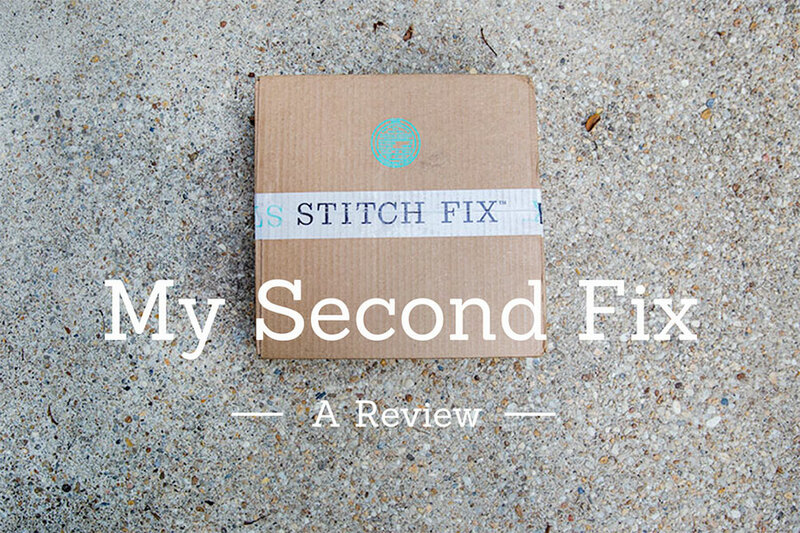 So what did I think of Fix #2? I must admit I am a bit disappointed with this fix compared to the last one. I felt that the pieces last time were just more “me”. I had a different stylist this time so there is a good chance that contributed to the different boxes. However, I still had a lot of fun and got a free shirt! Not too bad. I am obviously not that disappointed because I already signed up for my next fix in a couple of weeks. Can’t wait to see what’s in box #3! PS – Check out my First Fix and my Fourth Fix to see what I got in my other boxes!